This new elegant type of installation, achieved using an aluminium profile section available both for masonry and plasterboard, makes it possible to inset our smooth skirting flush along walls, offering numerous advantages. 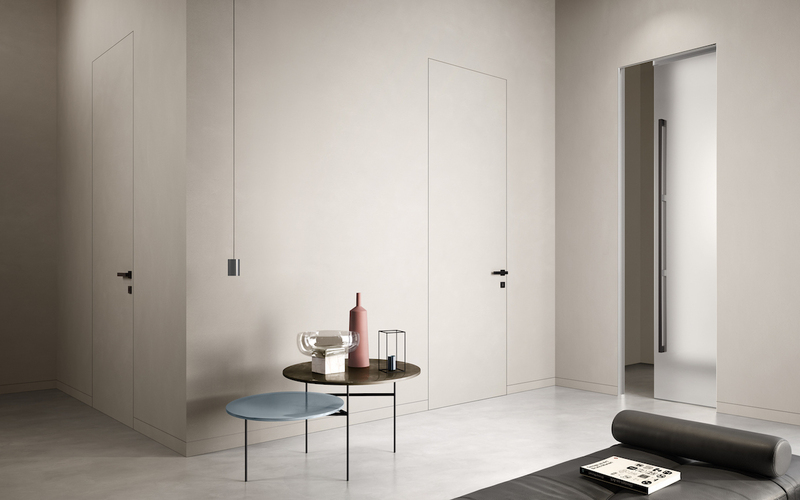 The first positive aspect to underline is certainly that of aesthetic cleanness, especially when combined with Filomuro doors in refined modern interior design projects. This form of installation is also very positive for ambient hygiene since it eliminates unpleasant accumulations of dust along the top of skirting. Making the walls completely smooth offers improved positioning of furniture directly against walls. 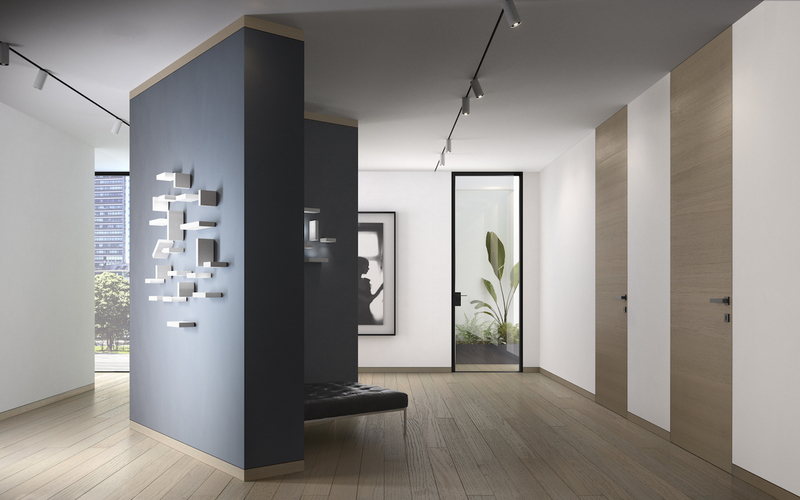 Another advantage of this product is the availability of connectors for all the frames in our range of swing and sliding doors. Furthermore, inserting LED’s behind the skirting in the metal inset profile offers a very striking visual effect, extending the functionality of the fittings and transforming them into a genuine illuminated pathway system. 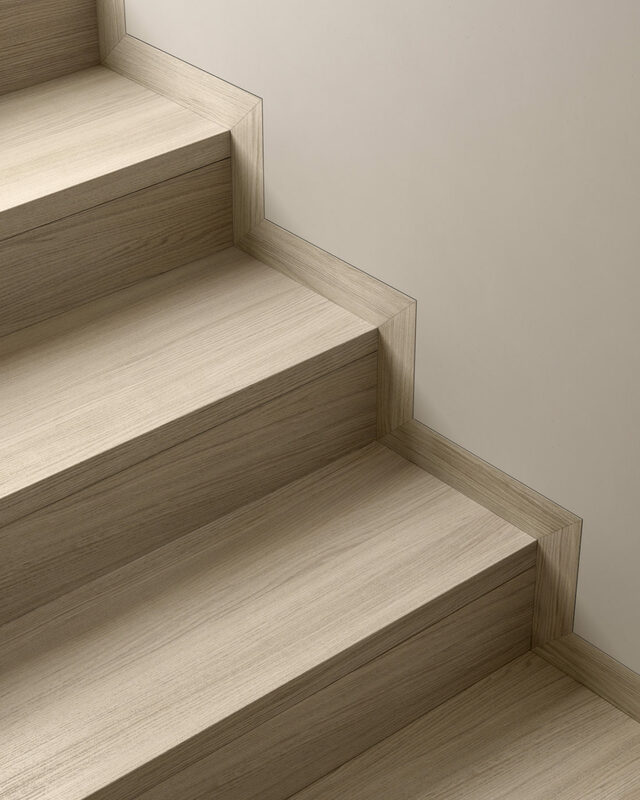 The fitting profile can also be used for finishing the steps in a staircase, and is perfectly coordinated with the parquet, wardrobes, and all the other products from the Garofoli Group. Our inset system ensures easy and intuitive installation.